The Crystal of the Day for Saturday 2 November 2013 is Chalcopyrite. Chalcopyrite is an excellent stone for meditation and this is its most powerful aspect, although it is also a strong healing stone for the physical body. It has a powerful resonance within the higher chakras, and is acknowledged as a stone of the mystic, as it is common for it to make a powerful connection to the higher spiritual and mystical realms. It is known to help you if you have lost something to find it, and it may even get lost to you as well. 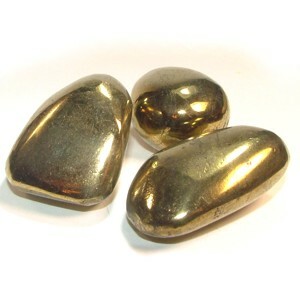 Like most gold stones, this is a stone of abundance, and it has a positive vibration that is known to increase happiness, joy and belief in yourself. This stone has an unusual energy that will bring through a strong spiritual, even mystical energy. Once you begin to feel this vibration, it can be a powerful experience to allow yourself to embrace this energy and go deeply into a state of mind which may aid you to gain deeper spiritual understanding. Chalcopyrite is an excellent stone to use in meditation and can be quite powerful if used at the third eye or the highest chakra in the physical body, known as the crown chakra. It will clear energy blockages at the crown chakra and will both cleanse and activate it as well. Used in this way you may gain insights about ancient civilisations on planets other than earth and this may help to explain your current life circumstances. The type of deep mystical understanding that comes through may take some time to fully comprehend. It connects you with higher beings who aid you to recognise your role here on this plane. Chalcopyrite may aid you to discern more about how the universe works – the ideals that encourage and allow each of us to do what we need to do. To feel no guilt about your actions, as what is right for you spiritually is part of the Divine plane and cannot be governed by others ideas of what is right for you. This stone aids very deep understandings to come through from beings in the higher realms, if you desire to know what they have to impart. Using Chalcopyrite, a strong prosperity stone can be challenging, so be aware in case you find it difficult, when you open yourself up to seeing parts of yourself that you may rather not see. Once you perceive these aspects, this leads you to a greater spiritual understanding generally. Part of the process is understanding that the universe is perfect, and that all that happens occurs for reasons that are perfect, even aspects you may not want to happen such as illness or the death of a loved one. It would be a good stone to wear as jewelry, as it has a positive vibration that is known to increase happiness, joy and belief in yourself. As it is a Capricorn birthstone you will find it on the list of zodiac stones, therefore it may be available as a pendant or other jewelry. Like most gold stones, this is a stone of abundance. It will help you to be more aware of the link between abundance and attaining prosperity and your way of thinking. It resonates within all chakras, and its action within the solar plexus chakra also known as the power chakra may help you to attract money. It is helpful to you to aid you to understand that you need to think prosperously to be prosperous. Natural Chalcopyrite has a strong healing action in the body and helps the universal energies to clear anything that prevents perfect health. It is known to be helpful to have near you, when you are undergoing acupuncture as it helps your system to integrate the energy flow more easily.